14 August 2016 by . On our last meeting we spoke about the conversion to the living God. The whole history of humanity is path towards the living God, encountering the living God. In all cultures, in all epochs, on every planet the wish and the expectation of a Saviour remained alive. Jesus Christ came when the set time had fully come. He is God-Man, the Son of God incarnated in a man. No man could have removed the consequences of original sin. It could be only God, the Son of God, who sacrificed Himself for us. He came to Earth for the whole humanity of the whole universe and in favour of all creatures; once and for all He sacrificed Himself for us and sits at the right hand of the Father interceding for His children. He is the Only Saviour. The Church professes that He is the Son of God, the Only Mediator, the Only Saviour. He is the perfect image of God. So, we will all go through His image and likeness to appear before God; there is no other way. I believe that almost all of you who are listening to this reflection are Christians, people belonging to the Christian religion. It cannot be taken for granted that Jesus Christ is living in you. The Christian humanity has seen the living Jesus Christ in Frances of Assisi, in the great saints, and history calls St. Frances an “Alter Christus”. In the mystical union with Christ He lives in us and in our expression. We are going towards this goal. There are false ways of belonging to Christ. One of the false ways is to think that belonging to Christ means to belong to a religion. In this manner the corrupt side inside a man can be covered up by participating superficially in certain rituals, sometimes out of hypocrisy, slyness or personal interests. Christians often show unwillingness to the change a real conversion implies; yet, one cannot remain static when we belong to the living Christ. Nowadays in the whole world there is a tendency towards a single religion. In various forms you may find this tendency in culture, in democracy, in the beautiful things you come across, in nature, in animism, etc. Even in the Church this idea is spreading. We need to understand that along history several systems and regimes wanted to eradicate religion. I am a witness of the communist regime of Ex-Yugoslavia. According to their project in 1953 religion should have disappeared, but they were wrong. So what is being done now? Nowadays there is the awareness that religiousness is deeply rooted in man and cannot be uprooted; therefore, it is being domesticated. It is integrated in aspects of the spirit of this world and time because this is the most favourite field of action of the false prophets and the antichrists. This raises a question for all of us: are we expecting the False Prophet and the Antichrist? Let us think about it thoroughly. As a new people we profess that Jesus Christ is Lord, the King of the universe, and that all things will be recapitulated in Him. Through the recapitulation in Him and His glorious coming all His children will enter the new creation. This is a process that we already know and are witnessing. The red thread of our testimony is that we can belong to the living Christ by giving ourselves over to Him through the Immaculate Heart of Mary. 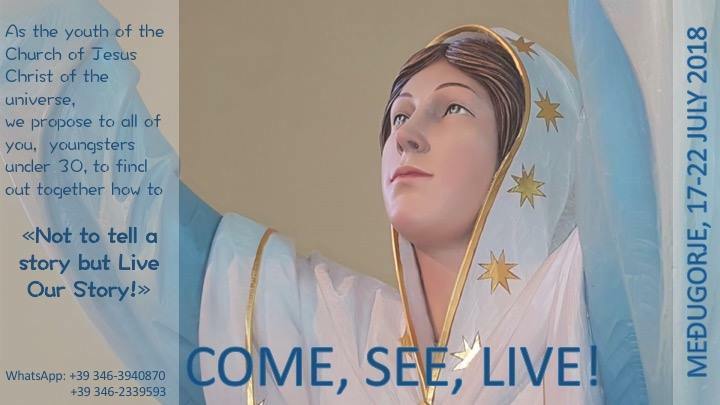 Why through the Immaculate Heart of Mary? Because we may well feel the action of the angels and the faithful brothers and sisters, their evangelisation of the whole universe, but Mary is much greater than the brothers and sisters faithful to God: She is a new creature; She is immaculate and perfectly united with Christ; She lives through Christ in the Trinity; She was assumed to Heaven to intercede for us, to protect her children, because She is our Mother. I entrust to you these weeks leading to the Passover of the Lord. Follow this track with participation so that you may experience the truth and what it means to belonging to the living Christ. And now we will listen to Stefania who will tell us how the evangelisation in the universe is taking place. A special experience for tonight. Stefania Caterina: I welcome you dearest listeners and I will begin with a little introduction. You know that from the beginning of the creation of the universe God’s plan was that the universe should be governed by humans and angels working together. Unfortunately, original sin interfered and crushed, so to say, the initial design of God. However, in that moment God entrusted the government of creation to the angels and the brothers and sisters who had remained faithful to Him and this went on like that. After the coming of Jesus Christ to Earth the Church should have continued this work of profound cooperation with the angels, and she should also have announced the coming of Christ and His work of redemption; yet, we know that things did not go like that for different reasons that are too long to mention in this place. You can look it up in the book “The Universe and Its Inhabitants” where these aspects are widely explained. However, nowadays the faithful brothers and sisters and the angels are continuing to work together in favour of the whole universe and you know that the evangelization is fully in action in the low universe. The evangelization is proceeding even though it is rather slow because the humanities of the low universe are rebellious humanities who do not bend easily and who, actually, do not fully understand the importance of this event. But, before the evangelization of the low universe the evangelisation of the middle universe has taken place which marked an important step because the middle universe has converted to Jesus Christ. Thus, I will share with you the testimony of a brother of the middle universe who has spoken to us at length. He told us what these populations experienced during the evangelisation by the faithful brothers and sisters. This brother has a difficult name that we cannot spell. He told me that His name is similar to John, so let us call him John. This brother told us that the evangelisation was preceded by an intensive action of the angels who appeared and manifested themselves and spoke mainly to the priests of these populations. You know that the humanities of the middle universe are not rebellious; at the moment of creation and in the response to God they remained undecided on what to do. So, the situation there is different compared to that of the low universe. As a result, these peoples welcomed the faithful brothers and sisters, listened to them and within a short time – this brother told us that it really happened in a short time – a great qualitative leap occurred, first of all spiritually, because the faithful brothers had a profound impact on their spirit. They taught them a profound way of communicating on a spiritual level which led to an increasingly fine way of communicating in the Holy Spirit between the humanities of the middle universe and the faithful brothers. Moreover, a qualitative improvement on the physical level occurred. The faithful brothers intervened to help the populations to overcome certain handicaps and diseases, and they also healed children; this is how they intervened on this level. Even on a scientific level progress was achieved because the faithful brothers shared many of their discoveries with these brothers. The faithful brothers do not hide their knowledge jealously; they wish to pass it on to others. So they improved also from a technological point of view. 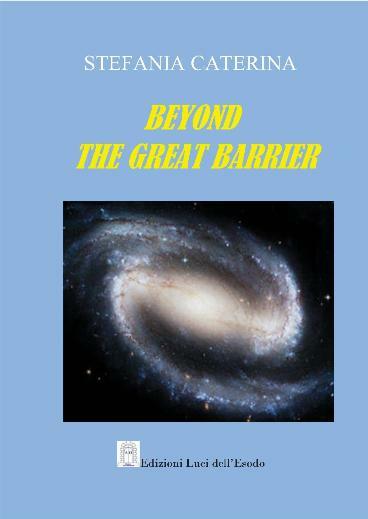 All this brought a real leap in the quality of life and also in the evolution of these humanities of the middle universe which also led to a closer relationship between the humanities of the high universe and those of the middle universe. What happened on the planet of this brother later on happened on the other planets because all of them listened to the faithful brothers, walked together with them and welcomed their message. So today we can say that the two universes have got much closer to each other, so much that there is almost no difference between them anymore. In fact, there is now only one universe as the humanities live in the same spirit and can therefore move from one universe to the other. Exactly this scientific and technological improvement allowed the populations of the middle universe to move also to the high universe which was forbidden only a short time ago. What had happened? It happened that these populations were baptized; entire planets were baptized; voluntarily and freely they subjected themselves fully to Jesus Christ. It was a solemn moment and our brothers told us, “The priests of the high universe came and baptised us, and from that moment we wished to serve Jesus Christ totally and accept fully the work of evangelisation, to participate in the evangelisation of the low universe according to the capacity that we then had”. After their baptism Jesus visited these humanities and explained them many things, even for example about marriage and the union between man and woman. And the humanities of the low universe slowly began to live the relationship between man and woman, parents and children in a different manner increasingly similar to that of the faithful humanities to God. What other important things has this brother told us? He told us that they look at the new people of the Earth; they look at this new people and they consider it fully part of the action of the Church of the universe; even if we are on Earth with our decision to belong to the new people we are completely immersed in this mission, even if we cannot participate in it physically. We do not know what God is planning for us in the future. However, for now we remain on Earth but our spirit can still participate. These brothers fully recognise the power of the holiness of the new people. They admire the holiness of the real Christians of the Earth who endure so many insults, offenses, trials and suffer martyrdom in the name of Christ; even now many Christians die for the sake of Christ. There is one special thing that is very important: they recognise the force of the Eucharistic celebration. About the new people celebrating the Eucharist, our brother said, “You are not aware of the power that comes out of all this”. This renewal, this memorial of the Passion, death and resurrection of Christ, generates an huge force in the whole universe and is felt as far as the high universe; therefore we say that our active and true participation in the Eucharistic celebration is of great help and at the same time it is our true and great profession of the living Christ. Finally, we thought that it was right to share this experience with you because here we are in front of a really great mass conversion, that of an entire universe. Padre Tomislav: This people is led forward and God wants it to enter into a new relationship with the living Jesus Christ. As I said before, these weeks that prepare us for the resurrection are very important. Easter is not the memory of historical moment; it is the memorial of the resurrection that occurs in us; the passage from the spiritual death to life. We are all called and pushed to get there where the apostles got: to have the living Christ in us which means to be united to Him in the way the apostles and the Most Holy Mother were; it means to pick the thought of Christ in our spirit; it means to profess Jesus Christ in every situation no matter how much it costs. I will stop here but I intend, we intend, to continue to look deeper into this subject that leads us to understand Jesus Christ in the Holy Spirit so that with Him we may enter into communion with God the Father, the source of life. So, we will follow you, accompany you, but I ask each one of you to awaken within you and recognize the Trinitarian power acting in every child of God who is of good will, in every dimension, in the place where they are, in the high universe or on Earth. I bless you; may the light of God light up your hearts, open the way in you and in front of you to encounter the Risen Christ; in this encounter your whole being may unite with Him, and He may be alive in you, alive and acting for your good and the good of the whole humanity; in the name of the Father, of the Son and of the Holy Spirit.